Every once in a while an idea comes along that is so unlike anything before that it defies reference. 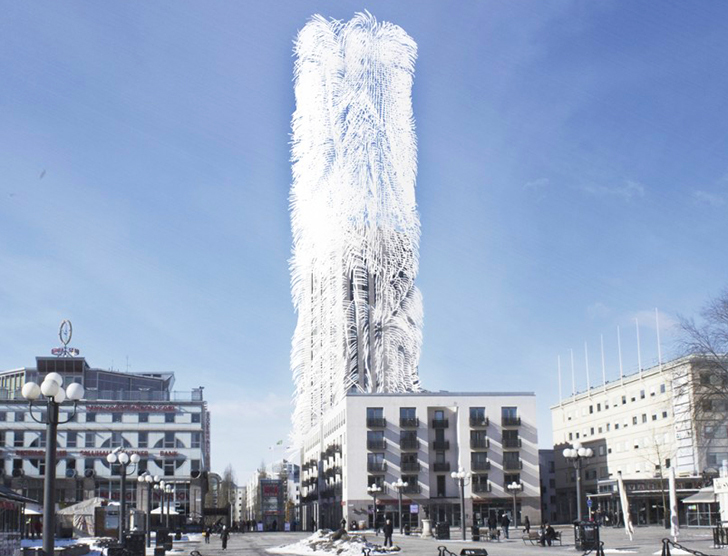 Take Belatchew Lab Architecture’s Strawscraper, a skyscraper covered in hair that can harness the energy of the wind. The building looks as though it belongs at the bottom of the sea, with its long anemone-like hair, but its technology is planted firmly on the terra firma of the future. Urban wind farming is a challenge; it can often seem impossible to find a location for traditional wind turbines that doesn’t take up too much room or isn’t dangerous in an urban setting. 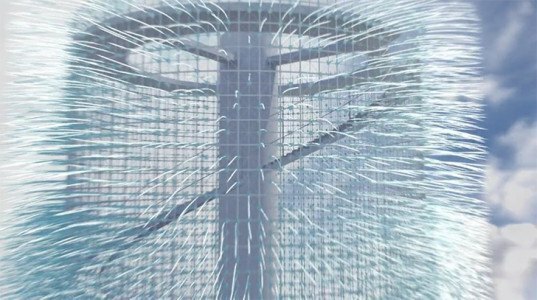 Strawscraper solves this problem by using a hair covered shell that harvests the power of the wind without the traditional turbine. 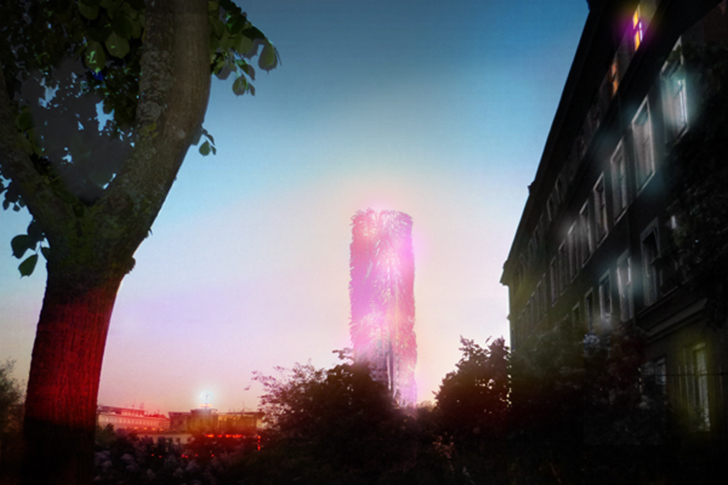 The skyscraper is an extension of an existing tower in Stockholm, Sweden, which was completed in 1997. The original architect stepped off of the project mid-construction, leaving it 14 stories short of its intended height. Belatchew Labs stepped in to give new life to the old project with a new look and new technology that just may change the way we look at cities. - Neurônios que conversam entre si ! This is photo-shopped, right? The structure does not yet really exist, am I correct? I just wonder how efficient the piezoelectric crystals are and how they are combined to produce a power output, and how constant the power output is. Urban wind farming is a challenge; it can often seem impossible to find a location for traditional wind turbines that doesn’t take up too much room or isn’t dangerous in an urban setting. Strawscraper solves this problem by using a hair covered shell that harvests the power of the wind without the traditional turbine. The system utilizes Piezoelectric technology, which turns movement into electricity that can be stored for later use. Strawscraper isn’t all about the brains, it also has the beauty. The hair covering the building creates the illusion of movement, giving the normally static city skyline the illusion of motion. The skyscraper is an extension of an existing tower in Stockholm, Sweden, which was completed in 1997. The existing tower. The original architect stepped off of the project mid-construction, leaving it 14 stories short of its intended height. Belatchew Labs stepped in to give new life to the old project with a new look and new technology that just may change the way we look at cities. The hair’s tiny movement is safe for birds and humans and isn’t noisy like traditional turbines can be.